The Miktek C1 large diaphragm FET condenser will impress the most critical listeners and inspire artists to create their best performance. 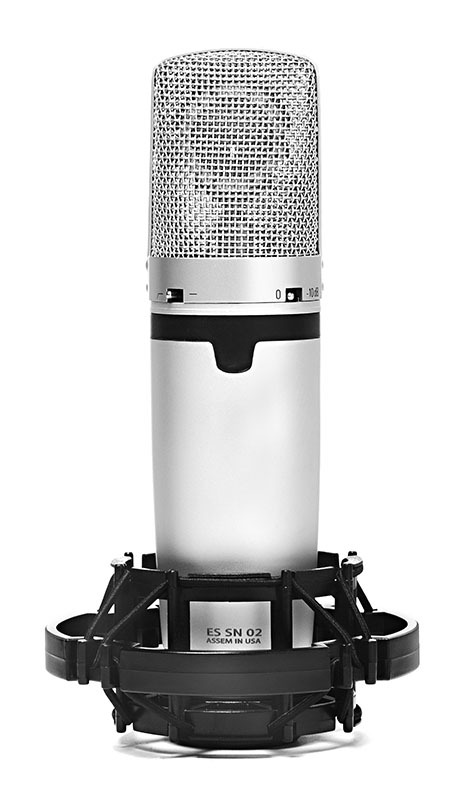 The microphone features a tightly controlled cardioid pick up pattern. In addition, the C1 employs a high-pass filter and –10dB pad for recording loud sound sources. The frequency response is warm on the bottom and silky-sweet on the top, yet at the same time, the midrange is natural and open. 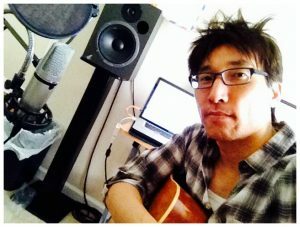 The microphone produces amazing results when recording acoustic instruments, guitar amps, or as overheads on a drum kit. 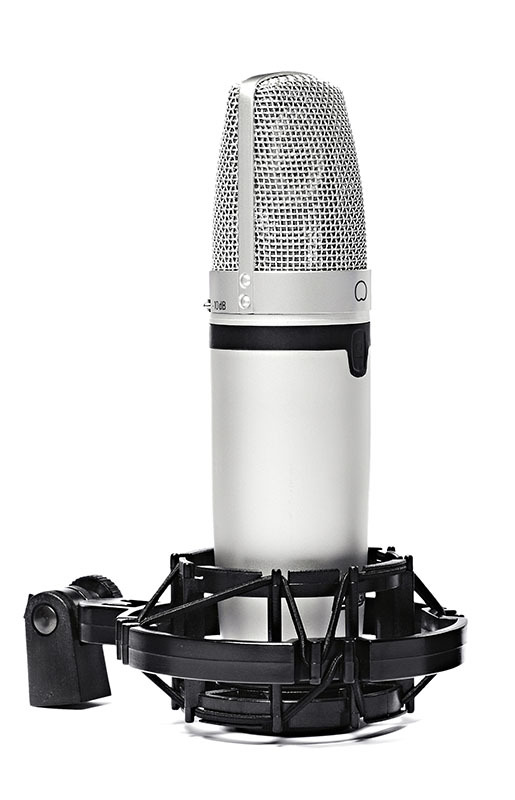 But of course, the C1 really excels on vocal ­applications. 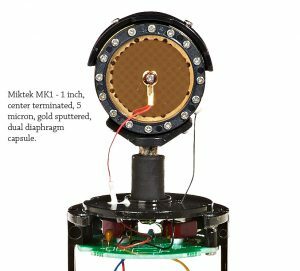 The C1 utilizes the new MK1 capsule developed by Miktek engineers, featuring dual 1-inch diaphragms made using 5-micron Mylar with a 0.4-micron layer of evaporated gold. The diaphragm is precisely tensioned and mounted to a carefully tuned backplate to create the finished capsule. The C1’s head amplifier has been designed around the AMI T7 transformer and, together with the implementation of high-quality components including hand-selected transistors, offers a sweet response reminiscent of highly desirable vintage microphones. In addition, the innovated head amplifier design features a unique circuit that allows the engineer to switch the capsule bias voltage from +44 to +60 volts. 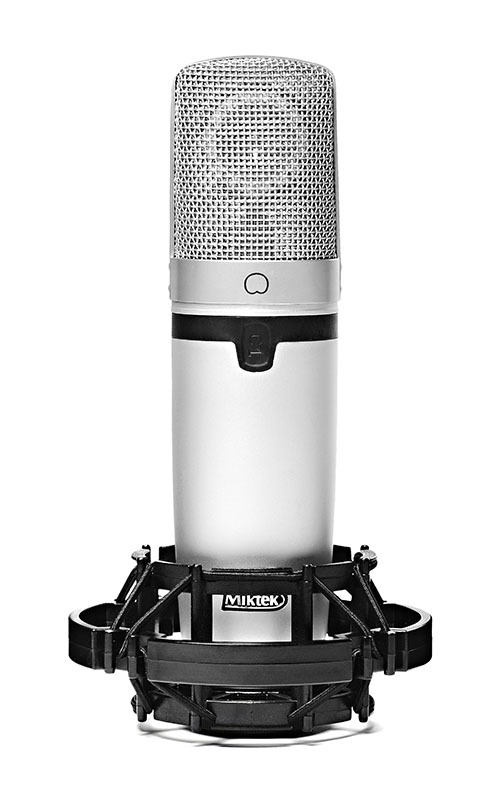 This proprietary circuit implementation essentially provides the mic with two voices; allowing you to choose between a classic and modern microphone. At +44 volts the capsule’s diaphragm is under less ­tension, so it’s able to react to extremely subtle changes in sound pressure; enabling the microphone to capture the slightest nuances in any performance. When the bias voltage is set to +60 volts, the C1 is extremely accurate and articulate. The Miktek C1 is hand assembled, tested and packaged in Nashville, Tennessee, USA using components from the US, Europe and Asia. 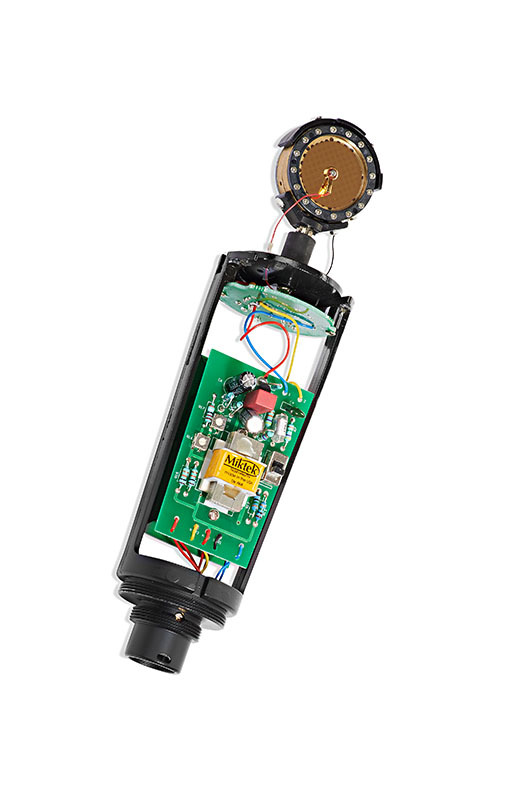 Each microphone includes its serialized ­frequency response graph created during final testing. 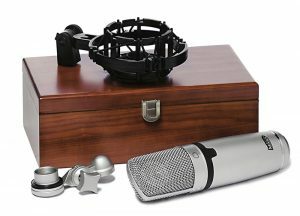 The C1 is packaged with its swivel mount, in a wooden box, along with the included shock mount.